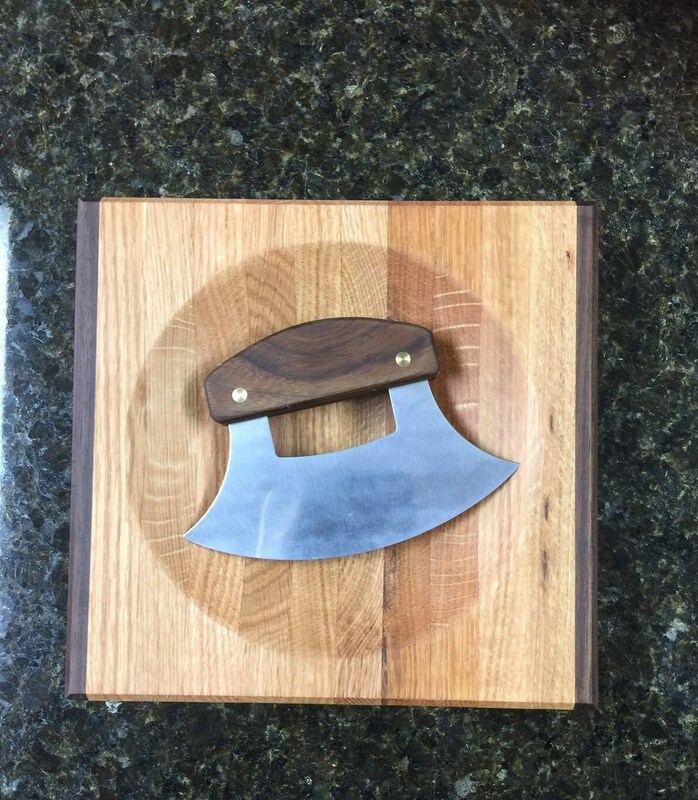 Our wooden cutting board and Ulu knife is perfect for chopping or mincing. The concave chopping board keeps the herbs, garlic or nuts contained so mincing is easy! The hardwood cutting board measures approximately 8 1/2” x 8 1/2” x 1 3/4” and the knife has a 6” blade with a walnut handle. 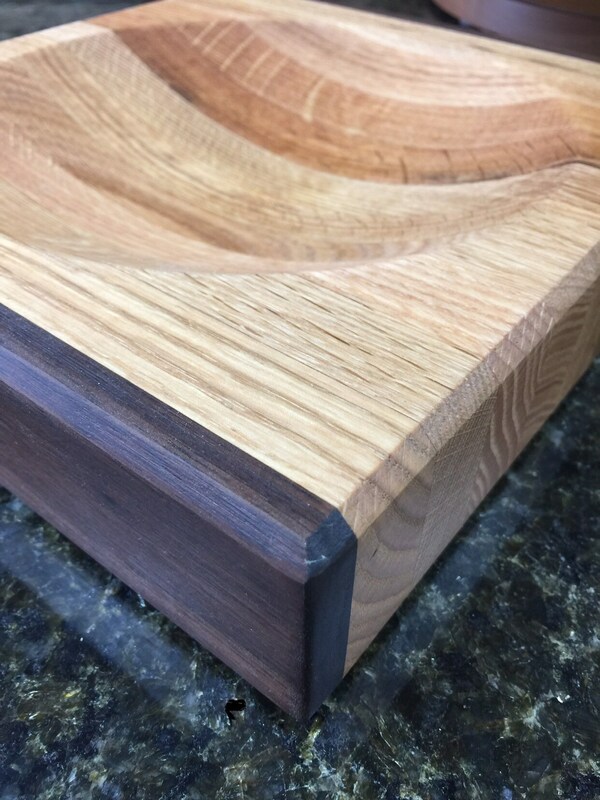 This item is crafted from walnut and oak. The knife has a walnut handle which can be engraved. 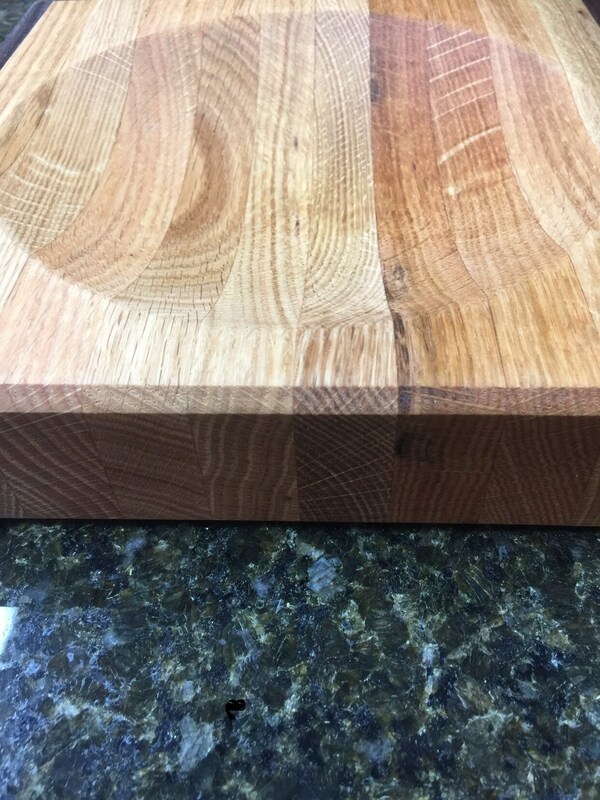 We progressively sand our cutting boards and finish them with mineral oil and beeswax for a water repellent, food safe surface.